Event photos by Barak Shrama available here. 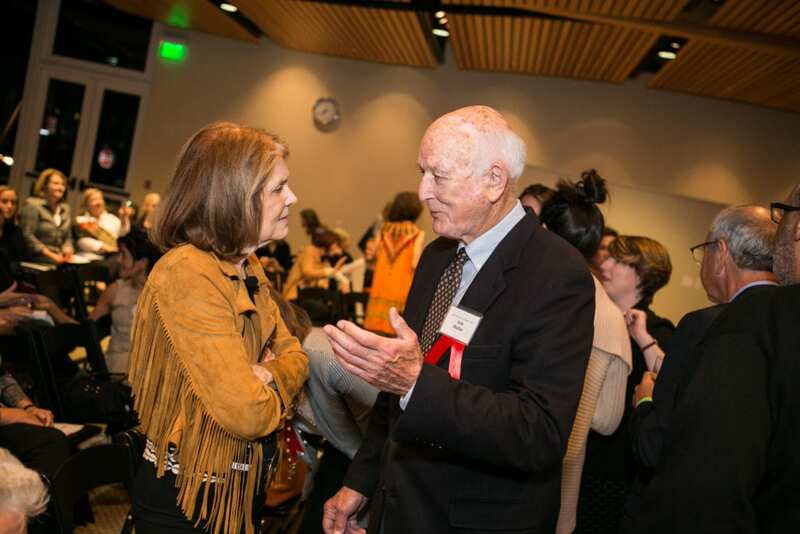 Gloria Steinem and Lew Butler at the 2018 WHO’S YOUR MENTOR? 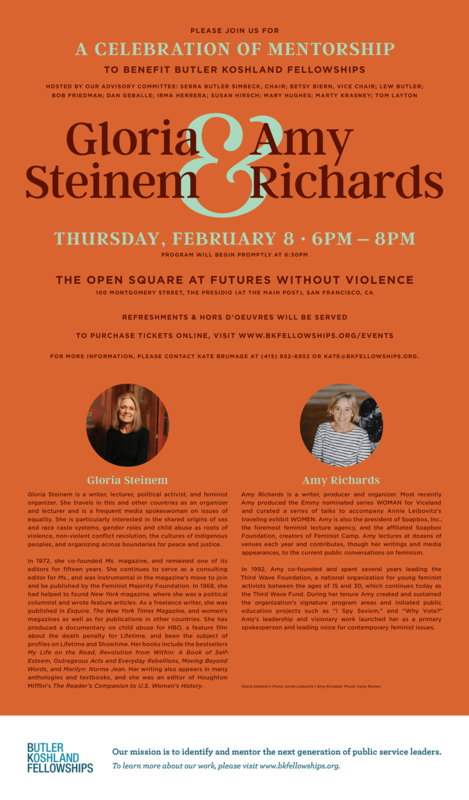 event on February 8. Butler Koshland Fellowships is grateful to our event sponsors. Thank you! Download the digital invitation here (PDF).